These presentation slides 50307 are complete compatible with Google Slides. Simple download PPTX and open the template in Google Slides. 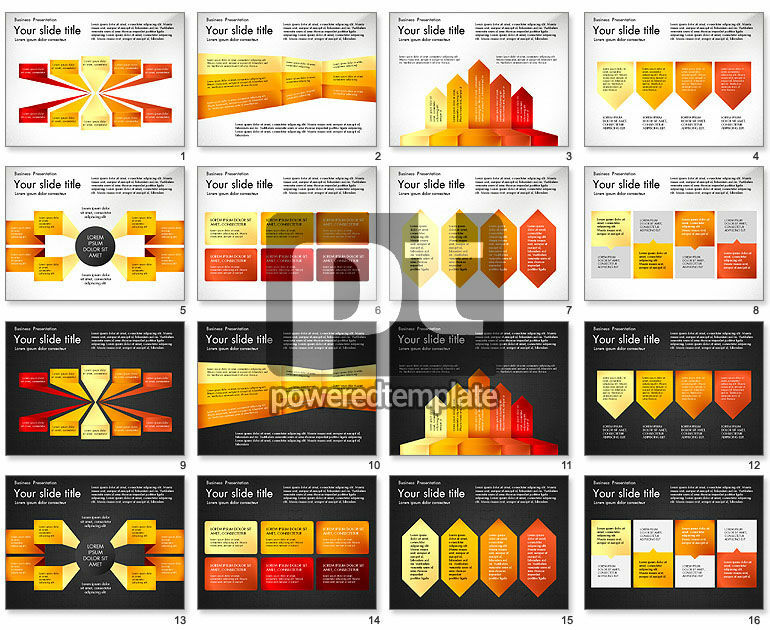 This presentation template is strict and formal because every slide includes various shapes or text boxes designed in yellow, orange or red colors. Thus every page of this slide deck in unique and unlike others because has out-and-outer way of placing. Such presentation can be successfully used for informative projects in business, finance, marketing, industrial representing and the like.